Great Opportunity!!! Yogurt Franchise for sale. Beautiful store located in a plaza with plenty of parking, close to many schools, homes and businesses. 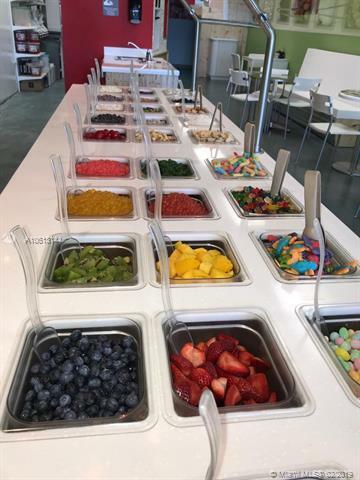 Offering Low-Fat and Fat-Free frozen yogurt made real milk, no artificial sweeteners and your choice of fresh fruit. Opportunities for growth. Well trained staff and smooth operation, very easy to manage. Great opportunity for owner/operator. May qualify for an E-2 visa. Owner selling due to moving out of the country.